When the members of HNL, a Peachtree City-based running club, hear about someone in need, they act. 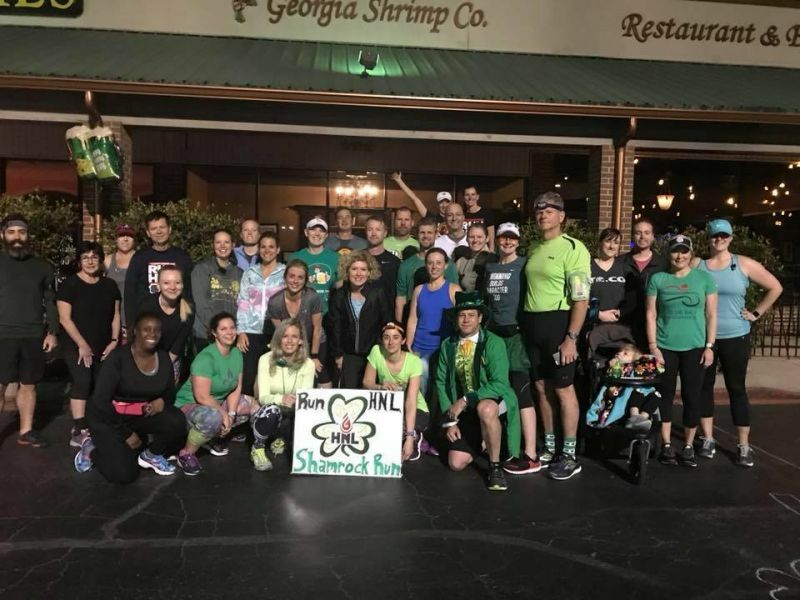 This was proven true once again on St. Patrick’s Day when they transformed their traditional Saturday morning group run to be so much more than that — a day to bring gift cards to a Fayette County family who lost everything in a house fire. One of the children is a student at Whitewater Middle School in Fayetteville. His teacher, Elizabeth Bowman, reached out to the staff to gather donations to help his family during this tragic time. Fellow WMS teacher Lindsey Hausmann knew exactly who could step up and help with donations: HNL. Run HNL was founded in 2009 and successfully gained nonprofit status in 2017. This is not just your typical running club. The result from this particular initiative was completely overwhelming. More than 40 gift cards and cash donations were gathered on the morning of their St. Patrick’s Day run. All from local runners and supporters of Run HNL’s mission to help out others in need whenever possible. Bowman plans on delivering the gift to the family as soon as possible. This is just the beginning for HNL. The group’s generosity is just starting to take off, with other charitable events coming up later this year. For more information on how you can get involved with HNL, visit runhnl.com.